The ultimate goal of RCS is to completely replace SMS, but moving the millions of daily SMS users away is no small feat. Yesterday, we posted that RCS support was being rolled out to some Messenger users on Sprint and Project Fi. Now Google has made the feature official, and should be available to all Sprint customers starting today. 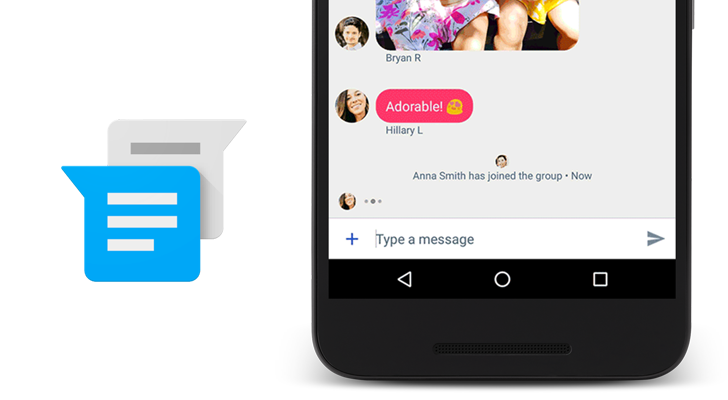 The above image from Google's post shows some of the features of RCS in Messenger, including group chats, higher-resolution photos, and read receipts. Google also revealed that starting next year, Messenger will be the default SMS/RCS application on all new Android devices sold through Sprint. Sprint is the only carrier that support's Google implementation of RCS (as opposed to other RCS standards), but Google noted they are launching with more partners in the coming months. RCS is not currently supported when using Hangouts as the default SMS application, but I expect support will come soon (and possibly alongside official Project Fi RCS support). If you're on Sprint, you just need to set Messenger as your default SMS application in the Android system settings.